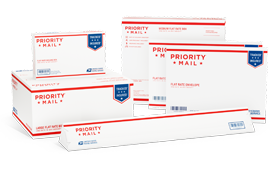 We ship all orders the same or the following day by US Priority Mail. Please also note that the shipping rates for many items we sell are weight-based. To reflect the policies of the shipping companies we use, all weights will be rounded up to the next full pound. For international orders you will need to contact us directly.